Cocktail Bingo | Get a 150% Welcome Bonus! 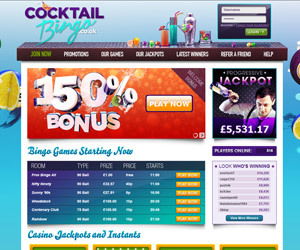 Cocktail Bingo is one of the newest Dragonfish Network sites, launched in April 2013. With its fun and flirty cocktail bar theme players will be lining up to give it a go. Register today and claim a 150% welcome bonus. Fancy giving Cocktail Bingo a go? 1. Click HERE to visit Cocktail Bingo. 2. Register at the site following the simple on-screen instructions. 3. Deposit £10 or more. 4. Enjoy a 150% welcome bonus. Cocktail Bingo is a refreshing, enjoyable site with a fun cocktail bar theme. The homepage features a suave cocktail waiter and there are tons of games to enjoy. Free games can be enjoyed even if you haven't made a recent deposit 12 hours a day so it's great for bargain gaming fans. 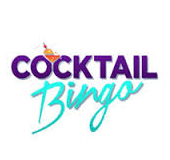 Cocktail Bingo invites new players in with a fantastic welcome bonus and the promise of further redeposits. New players are all treated to a 150% welcome bonus on their first deposit and then every other deposit will be met with a ‘Shake it Up' redeposit bonus. 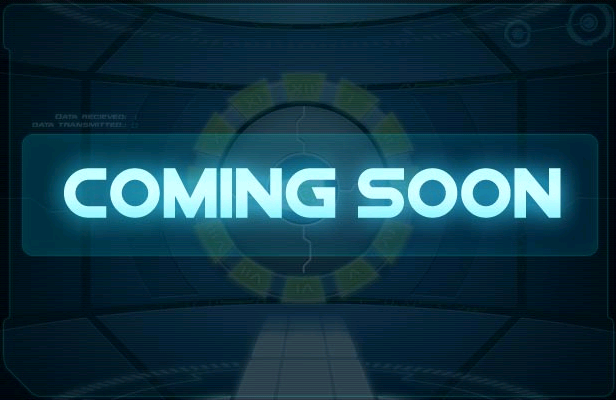 The amount of free gaming on offer is more generous than most sites and there are guaranteed cash prizes to be won every day. If you fancy chilling out with a cool drink and your favourite game, consider Cocktail Bingo.